Theresa May’s whistle-stop tour of three African capitals this week offered an insight into the UK’s post-Brexit trade priorities, but also hinted at the changing power dynamic in world trade. On Tuesday, May showed off her dance steps in South Africa. More importantly, she said that the six countries in the Southern African Development Community (SADC), which includes South Africa, had agreed to trade with the UK on the same terms as their Economic Partnership Agreement with the EU after Brexit. 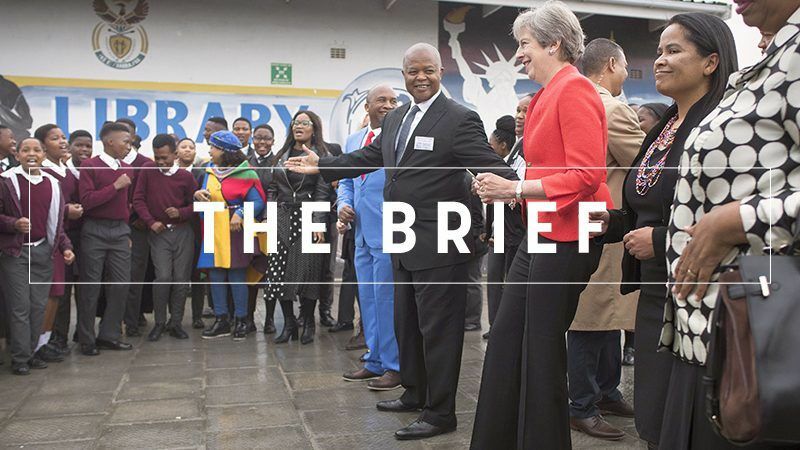 As South African ministers had previously hinted that they would demand additional concessions from the UK before agreeing to roll over the EU agreement, this was presented by some of the UK press corps as a triumph. And in one sense, it is. But it is still low hanging fruit. Of the six countries in SADC, only South Africa, which purchased around £2.4bn worth of British exports, is a major trading partner. Furthermore, the balance of power is shifting. Once the UK and EU could have dictated terms to Kenya, South Africa and Nigeria, the three countries on May’s Africa roster. Now it is the UK that has to make the running – May’s visit to Kenya on Thursday was the first by a British Premier in 30 years. The prospects of Britain leaving the EU without a deal increases the pressure on the UK to get countries to agree to its trade bill, which seeks to cut-and-paste around 40 EU trade agreements covering 70 countries into UK law before March 2019. To political analysts in the three African countries, the May’s trip is a welcome indication of their countries’ increased leverage in international trade. Brexit also offers African leaders the opportunity to play the UK off against the EU, since the UK hopes to begin trade talks with them at the same time as negotiations with the European Commission on the successor to the Cotonou Agreement, which expires in 2020. 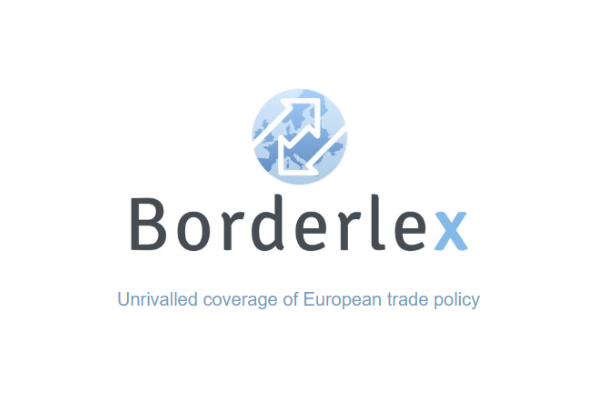 With the exception of SACU, none of the African regional blocs have implemented the Economic Partnership Agreements which, many of them say, they were coerced into agreeing by Brussels as a condition for having access to the EU market. In the meantime, 50 of the 55 African countries have signed up to the African continental free trade area. Carlos Lopes, the African Union’s High Representative on the post-Cotonou talks, tells EURACTIV.com that the continent has “more choices” than 20 years ago and intends to speak with one voice on trade – with the EU and others. Meanwhile, on Monday Kenyan President Uhuru Kenyatta was offered the prospect of a bilateral trade deal with the US during a state visit to the White House. But most pundits in Nairobi have advised Kenyatta to take Trump’s promises with a pinch of salt. He has little to offer Africa, they say. More responsibility on migration is needed says Federica Mogherini, EU’s foreign policy chief, as European solidarity faces challenges from Italy’s Interior Minister Matteo Salvini and Hungarian PM Viktor Orbán, who want to do more to “protect Europe” against the influx of migrants and intend to form an anti-migration alliance. And while Italy made a move to push EU for reform of ‘Operation Sophia’, Spain defends the country’s hard line on North African border immigration. Although the Visegrád Group countries say the EU is finally coming around to their way of thinking in migration policy, Czech MEPs downplay V4 role in EU’s migration policy change. Meanwhile, EU border guards have turned to interviewing migrants arriving in Europe to gather “valuable information” that helps them fight against smugglers and human traffickers. At a time of growing concern over security in Eastern Europe, Belgian and German military aircraft will take over NATO responsibility for patrolling Baltic skies. A German company announced it is “fully committed” to Nord Stream 2 despite fears of US sanctions. With attacks on Nord Stream 2, Washington ignores collateral damage, Matthias Dornfeldt argues. During his Tour de Scandinavia, Danish PM Lars Løkke Rasmussen was spotted showing his French colleague Emmanuel Macron some Danish cycling infrastructure in Copenhagen. The EU is willing to strike an “ambitious” deal with post-Brexit Britain far beyond any agreements the bloc has made with other countries in the past, chief negotiator Michel Barnier announced. Nevertheless, Brexit starts already starts to take its toll on companies: Panasonic is to move its European headquarters from London to Amsterdam in October to avoid potential tax issues. In an interview with our Frédéric Simon, a Danish MEP suggested that when it comes to renewable energy, in Europe the ‘fight continues’. Australia’s new PM announced, he will not walk away from the Paris climate agreement. Greenpeace’s Jennifer Morgan demands: Monsieur le President, it’s time to step up on climate change. Reaching a deal for the full normalisation on relations between Belgrade and Pristina could be EU’s next big foreign policy win, writes Bekim Çollaku. However, the clock is ticking. Time is running up for daylight saving time as Europeans are increasingly in favour of its abolition: On 28 October switching between summer and winter time could become history. Commission chief Jean-Claude Juncker is going to a retreat with his College of Commissioners this evening. With no formal program, Juncker is on the lookout for input for his State of the Union speech at the European Parliament in Strasbourg on Wednesday, 12 September.